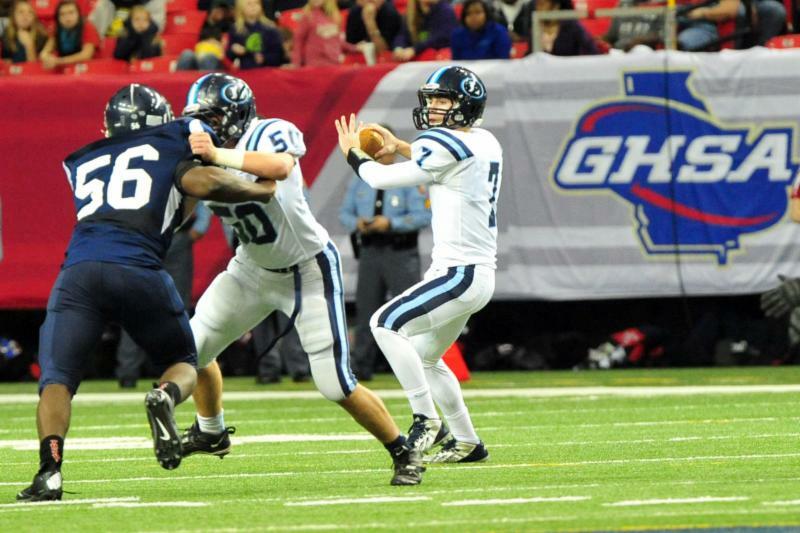 Benedictine has a long and storied history as a football power in Georgia. However, the Cadets have never won the state title. Last year’s team reached the semifinals before a tight 10-7 loss to Lamar County. This year’s team returns several of last year’s stars including wide receiver Brad Stewart and running back Chance Jackson. We think they will be good enough to win the school’s first-ever state football crown. Lovett had a dream season in 2013 and brought home the AA state title behind the dynamic playmaking of Grant Haley (now at Penn State) and a stout defense. The Lions are poised to have another highly successful year with quarterback Willie Candler returning to run coach Mike Muschamp’s offense. Heard County has lost just three games in the past two seasons, but the Braves have not advanced beyond the second round of the state playoffs. Running back Duranta Dunson, who rushed for 463 yards in the playoff loss to Jefferson last year, returns to lead coach Tim Barron’s team. The Braves will again be hard to beat in Class AA. GAC saw quarterback Rafe Chapple sign with Yale, but returns athlete Darius Slayton and running back Micah Abernathy to a team that lost just two games and scored more than 40 points in nine contests. Brooks County rounds out the top five despite graduating quarterback Malkom Parrish (now at Georgia). The Trojans have made the playoffs in each of coach Maurice Freeman’s seven seasons. Washington-Wilkes, Fitzgerald, Lamar County, Bowdon and Dublin are all traditional powers that are poised for successful campaigns.